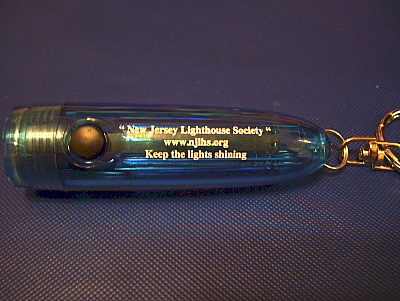 We are setting up dates for our participation in outreach events this year….getting the word out about the New Jersey Lighthouse Society. We have been trying to add some events in areas of the state where we haven’t been before. We will need volunteers to help staff our display table, sell ways and means items, represent the Society, and interact with visitors to encourage them to join the Society, as our membership numbers are declining. Although most of the events are outdoor activities, we have a pop-up tent so you won’t be sitting in the direct sun! 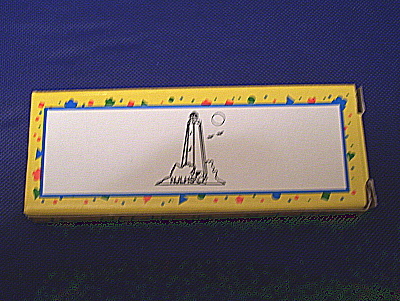 We would like to have at least 2 people at all times, so you can visit the event yourself, get something to eat, etc. The more volunteers we get for each event, the less time you will have to sit at the table! The following events are tentatively scheduled…if we do not get enough volunteers, we will not be able to participate. As you can see below, September is going to be a busy month…please consider helping us out. If you cannot attend for the entire event, please let us know what time you would be available. Set-up for these events is usually 1 to 2 hours before the start time, so participants can park close to unload their car. Why not bring a friend or family member to “work” with you? Contact Communityoutreach@njlhs.org with your name, phone number, email address, which event, and time you are available for that event. Saturday, April 27, 2019---12:00 PM to 4:00 PM—“Earth Day Celebration” at Riverfront Park in Point Pleasant. Saturday, May 18, 2019---11:00 AM to 3:00 PM---“Ocean Fun Days” at Island Beach State Park. (No selling allowed). Sunday, May 19, 2019---11:00 AM to 3:00 PM---“Ocean Fun Days” at Sandy Hook. (No selling allowed). Saturday, June 8, 2019---10:00 AM to 4:00 PM---“South Jersey History Fair” at Gabreil Daveis Museum in Glendora, NJ. Sunday, June 9, 2019---9:00 AM to 4:00 PM---“Burlington County Earth Fair” at Smithville Park, Mt. Holly. Saturday, August 31, 2019---9:00 AM to 4:00 PM---“Ocean County Historical Society’s Olde Time Antique and Collectible Faire” at the Ocean County Parking Garage, Toms River (Labor Day weekend). Sunday, September 8, 2019---9:00 AM to 4:00 PM---“Friends of Island Beach State Park Beach Plum Festival” at Island Beach State Park. Saturday, September 14, 2019---11:00 AM to 5:00 PM---“Spirit of the Jerseys History Fair” at Monmouth Battlefield State Park, Manalapan, NJ. Saturday, September 28 AND Sunday, September 29, 2019---9:00 AM to 4:00 PM---“Ocean County Decoy and Bayman’s Festival” at Tip Seaman Park in Tuckerton (across from the Tuckerton Seaport). We are also looking to participate in the Whitesbog Blueberry Festival on June 22 and 23. This is a huge event, and would get us a large “audience” for our Society. It is a 2 day event, but since our General Meeting is the same weekend, we are hoping they will allow us to participate for only one day. As soon as we know, the information on this page will be updated. Please keep checking back….we may be adding additional events in the near future. As always, a friendly reminder to check out the Society’s presence on Facebook & Twitter! While you’re at it, please recommend that others become our “fans” on Facebook. We’re easy to find: either search the Society name in the search bar on Facebook, or navigate to www.facebook.com/njlhs. I’m happy to report that, as of this writing, MORE THAN 1058 people “like” our page as of this writing. If you’re not of these many “fans” yet, just look us up and “like us” today. Also let me know if you have a favorite lighthouse or lighthouse organization or interest group page that we should “like” on the NJLHS page. We’ve been pleased to share some great updates recently from the folks at the Absecon Lighthouse. Also, as a time saving device, our Facebook page so that all of the content posted automatically publishes on the NJLHS account on Twitter. You may find us at www.twitter.com/njlhs or on Twitter by typing out our Twitter “handle”: @njlhs in the Twitter search field. You can now keep up to date via your smartphone, iPad/tablet, and (of course) your notebook or desktop computer. The Society also continues to publish notices of our General Membership Meetings to more than 50 media venues (newspapers/radio/websites) throughout the state. However, we are always looking to add outlets to our media list. It seems that, as soon as we add an outlet to the list that, due to continued budgetary cutbacks at various media outlets, we lose one or two contacts on our media list. In light of this reality, please share with me contact info (email address) for any media outlets that you feel would like to receive our media notices. These could include newspaper, radio, TV, or web-based resources. I’ll be happy to add anyone to our media distribution list. Thanks so much everyone…and keep the lights shining! The New Jersey Lighthouse Society Speakers Bureau provides speakers to a variety of organizations including primary schools, fraternal, social and historical groups throughout the State.